« What is Biomimetics? & how can it be applied into Architecture? San Diego really is such a beautiful city to live in. The lack of disturbing to the heavenly weather we experience allows for us to remember why we are so lucky on the daily. A stretch of 3 days hot, windy weather can remind one why when there is good weather, you can quite literally weather the bad. I woke this Sunday not sure of my intentions for the day. I had an idea, but wanderlust can be debilitating when feasibily not in the priotization realm (FINALS). But flowers have been on my brain. So, that became the mission to accomplish this gorgeous day. A Sunday La Jolla Farmer’s Market it was. I needed some veggies, fruits and sweets too. 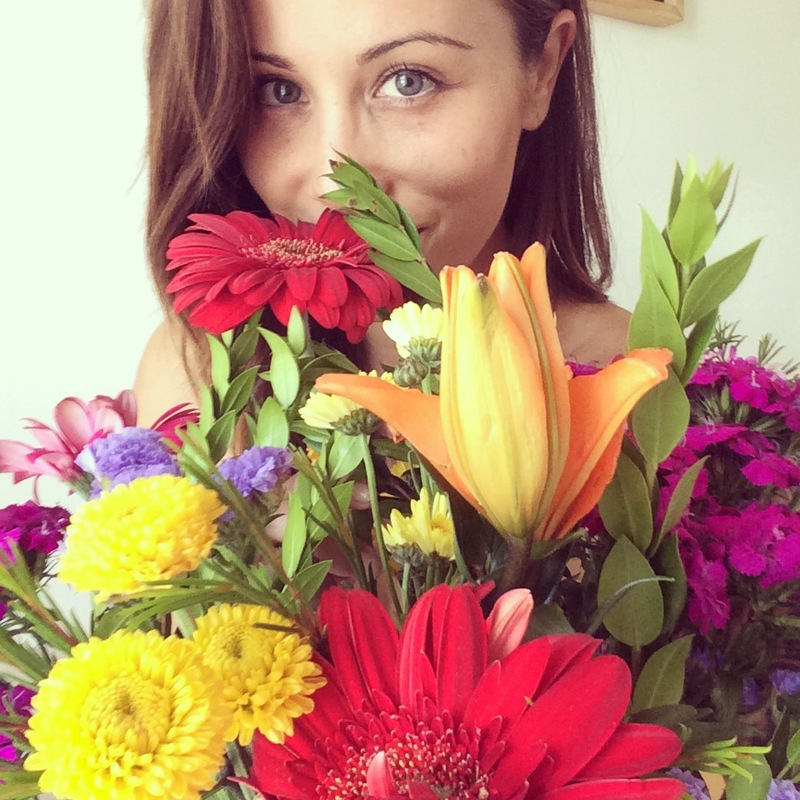 After collecting my yummies and new flower decorations ,and of course bedazzling myself in the prettiest of jewels – just to see how they would look before I left, I came home and relished in the cheerfulness of my new bouquet. Wikipedia’s use of words is awe-striking and accurate. The worthiness of this post soley stems from this comical but interesting-thought(“the birds and the bees” story)-of an article. The birds and the bees – Wikipedia, the free encyclopedia.